What is The Interrelationship of Depression and Insomnia? c) lack of sleeping hours. Short-term insomnia, or acute transient insomnia, lasts for less than three weeks and has similar causes as transient insomnia. Chronic insomnia, on the other hand, is more complex. This condition is characterized by one of the following: a) light, interrupted sleep that one is still tired upon waking up, b) not being able to sleep, even if fatigued, c) lack of sleeping hours. * Primary chronic insomnia - when the insomnia is not caused by any physical or mental imbalance. * Secondary chronic insomnia - may be caused by physical and mental conditions, such as depression, or emotional and psychiatric disorders. Since insomnia is just a symptom of an underlying disease or an imbalance, evaluating the cause of insomnia is very important before prescribing any medication. Depression is the most common cause of chronic insomnia, especially in the elderly. A study shows that depressed elderly patients, if they suffer from insomnia, have a tendency to be depressed for over a year. Another study shows that even without a history of depression, if an elderly patient suffers from insomnia, they have a high risk of being depressed. This is usually observed in women. It has been proven that insomnia can affect ones' lifestyle negatively. Once this happens, the person starts to worry. Worrying, then causes depression. Depression is an emotional condition characterized by sadness or misery. Although many have experienced this at one time, clinical depression is a mood disorder characterized by feelings of sadness, anger or frustration affect daily life for an extended period of time. Another interesting relationship between depression and disrupted sleep is that some medications used for depression can cause insomnia. This is because these medications are used to make the patient more energetic, that at times, these make the patient anxious. The new anti-depressants that have stimulant effects include Prozac, Paxil, Zoloft and other serotonin-reuptake inhibitors. Serotonin-reuptake inhibitors are substances that prevent the reabsortion of substances in the kidney. During the biological elimination process of substances taking place in the kidney, some substances are reabsorbed in the kidneys, thus, prolonging the effect of such substances. With the presence of serotonin-reuptake inhibitors, serotonin is not reabsorbed and is continued to be eliminated from the body. Serotonin is an important monoamine neurotransmitter that plays a large role in depression, anxiety and bipolar disorders. Some serotonin is converted by the pineal gland, the pea-sized gland at the center of the brain, into melatonin. Melatonin is a hormone that helps regulate the sleeping and waking cycles. * Control exposure to caffeine, alcohol and nicotine. These three substances are known to disrupt one's normal sleeping patterns. * Maintain regular sleeping time and waking time. This would help in maintaining the circadian rhythm thus minimizing the effects of fatigue caused y insomnia. * Regular exercise is good for the body but this shouldn't be done late in the afternoon or early in the evening. This is because exercise tends to start-up the body. If the body has gained more energy by the end of the day, this can prevent one from being able to sleep at night. * Go to be only when about to sleep. Reading or watching TV in bed is discouraged or to be avoided. When the mind is conditioned that the bed is for sleeping, once one goes to bed, he or she can readily get some sleep. Meal intake affects biological activities due to increased blood blow to the stomach. These pointers may be helpful in managing conditions associated with insomnia. Still, some situations require sleep-promoting medications prescribed by a medical specialist. So that old-fashioned glass of warm milk or cocoa before bed seems to have a foundation in fact! ‘Studies have shown a link between Vitamin B12 and other health conditions including insomnia. The body requires vitamin B12 to manufacture red blood cells and myelin. Myelin is the fatty lining around nerve cells. There has been a great deal of research into the effectiveness of vitamin B12 injections and multiple sclerosis. When we sleep well, we wake up feeling refreshed, alert and ready to face daily challenges. When we don’t meet our daily sleep requirements, every part of our lives can suffer. Our jobs, relationships, productivity, health and safety (and that of those around us) are all put at risk. SITE DISCLAIMER: Do these products “cure” anything? Of course not… but it stands to reason that if you cleanse your body and feed it the finest nutrition available, giving it everything it needs in balance, on a daily basis, that your body will do what nature intended, and give you the best possible chance to fend off sickness and disease. This depression and insomnia information is not presented by a medical practitioner and is for educational and informational purposes only. The depression and insomnia content is not intended to be a substitute for professional medical advice, diagnosis, or treatment. Always seek the advice of your physician or other qualified health provider with any depression and insomnia questions you may have regarding a medical condition. Never disregard professional medical advice or delay in seeking it because of something you have read. The depression and insomnia resources on this site are not intended to be a substitute for professional advice. While all attempts have been made to verify depression and insomnia information provided in this publication, neither the author nor the publisher assumes any responsibility for errors, omissions or contrary interpretation of the web site depression and insomnia subject matter herein. The site depression and insomnia contents are solely the opinion of the authors and should not be considered as a form of advice, direction and/or recommendation of any kind. If expert advice or counseling is needed, services of a competent professional should be sought. 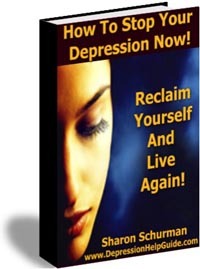 The author and the Publisher assume no responsibility or liability and specifically disclaim any warranty, express or implied for any depression and insomnia products or services mentioned, or any techniques or depression and insomnia practices described. The purchaser or reader of thi depression and insomnia s publication assumes responsibility for the use of these materials and information. Neither the author nor the Publisher assumes any responsibility or liability whatsoever on the behalf of any purchaser or reader of these depression and insomnia materials. There is no guarantee of validity of accuracy. Any perceived slight of specific people or organizations is unintentional. This website and its creators are not responsible for the content of any sites linked to. Since natural and/or dietary supplements are not FDA approved they must be accompanied by a two-part disclaimer on the product label: that the statement has not been evaluated by FDA and that the product is not intended to "diagnose, treat, cure or prevent any disease."